(CIFA): The Cayman Islands under 20 National Team now know who they will face in the second and final stage of the Caribbean Football Union Qualifying round. After finishing second in the previous round, Cayman has now been drawn into a group with the Dominican Republic, Haiti and Jamaica. The final stage of this tournament will be held within the period 9-17 December 2011, or at latest 18-31 January 2012. The dates of Cayman’s fixtures and venue are still to be confirmed. 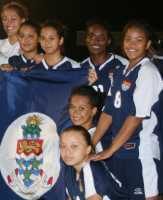 Winners of Group E and Group F as well as the best runner-up chosen from the runners up of both groups will qualify to the CONCACAF Women’s U20 Tournament which will be held in March 2012. This is the final round of Qualifying for the World Cup Finals Tournament. The 2012 FIFA U-20 Women's World Cup will be the 7th edition of the tournament. Only the world’s best sixteen teams from all six confederations will compete in the World Cup Finals. The tournament will take place in the summer of 2012 in Uzbekistan. Women’s Technical Director Thiago Cunha is excited for the next round and believes that the girls are ready to compete. “The game that we played against Trinidad & Tobago in the previous round showed that we can compete with the best teams in this region, the girls learned a lot from that game and I am sure that experience will prove vital in the next set of games, the girls believe that they are good team and they believe that they can beat anybody, they are confident but very focused and they will continue to work together both on and off the field as they prepare”. Fifteen year old Cayman striker Shanelle Frederick is confident that Cayman can advance to the final stage of qualification, “We are very excited about this draw, this is what we live for, we train and prepare for these big competitions and I know that I can speak for all the girls and say that we are ready to take on this challenge”. The Women’s National team is currently training four times a week in the morning and in the evening as they prepare for the next round of competition. 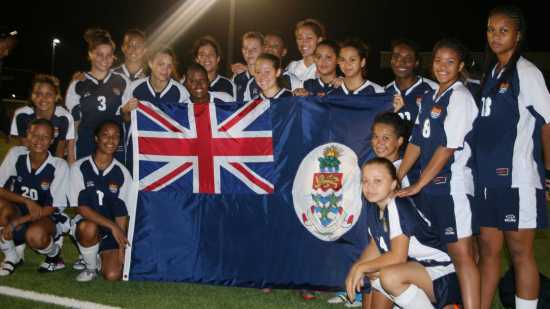 The majority of the squad also plays in the Cayman Islands Women’s Football League.